At Grace Advisory Group, your experienced personal financial advisor at will help you decide on a dependable and secure strategy which will work best for you and for your family’s future. Have you, however, identified what you want your retirement to look like? How much post-retirement income will you need to support your goals? Perhaps you have a general idea, but at some point you will need something more specific. We can evaluate your unique financial situation and goals and design a strategy that will allow you to live comfortably during your retirement years. The financial advisors at Grace Advisory Group offer financial planning and wealth management solutions, that reach from retirement plan consulting to life insurance policies and annuity investment services – all designed to meet each of our client’s individual goals. The independent structure of our company allows our advisors to develop personalized, comprehensive financial plans that are|built around each client’s needs rather than being limited by the products any single company has to offer. We specialize in helping people prepare for the future, which for most people, centers around their needs in retirement. There are, however, as many financial situations as there are people in Florida. Our experienced financial consultants understand everyone is unique. That’s why we sit down with each client and their significant others to fully grasp their unique backgrounds and aspirations for the future. There are many financial strategies that can be a pathway to a comfortable retirement. However, most have benefits that come with risks. At Grace Advisory Group, your experienced personal financial advisor at will help you decide on a dependable and secure strategy which will work best for you and for your family’s future. Many people choose a annuities to strengthen their financial freedom for their retirement. A knowledgeable financial advisor can help you choose which life insurance plan provides the best benefits for you and your family. Institutional level investment choices and fiduciary care are the hallmarks of our Investment Advisory Services, offered through Grace Capital Management Group, LLC, a Registered Investment Adviser. Our team of professional financial planners is providing comprehensive retirement planning and advisory services for the Southwest Florida area. We offer personalized, client-based guidance—with a customized level of service, customer care, and consideration that larger firms just can’t (or won’t) provide. 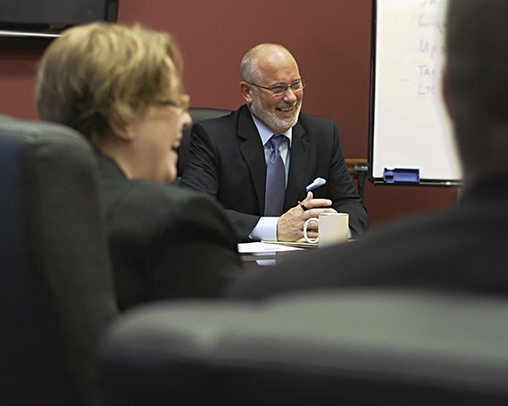 Our combined experience and insight, coupled with our tailored approach, make Grace Advisory Group the right choice for people looking for their own personal team of advice givers. Many of our clients come to us because they want a secure future. Our mission is to ensure that your goals are met. Through the years, we have found that the best way to achieve this is by providing compassionate and comprehensive wealth management services to each client. We believe that people deserve unbiased and independent advice based on the most effective investment strategies. This advice should be provided by dedicated and professionally trained financial planners who stand behind the long-term effectiveness of their advice. Why choose Grace Advisory Group for your secure retirement income planning?